Parity structure is the balance of sow mortality rate, culling rate and replacement rate against hog market price and feed cost. Parity structure can influence both biological and economical performance. Therefore it is important to have a good understanding of the factors involved to better manage parity structures and, ultimately, maximize long term profitability. This section provides best practices to optimize parity structures as a performance lever. Success or failure of establishing the best parity structure depends on how proactive and prepared the system is to retain the right animals or cull the potentially risky or unpredictable ones. 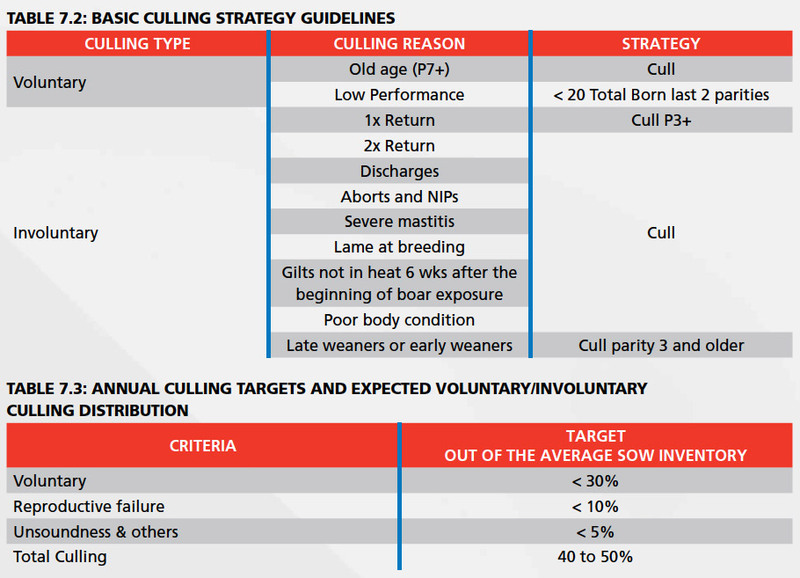 The key points to consider are gilt availability, gilt selection rate, individual sow care and culling strategy. Gilt selection plays an essential role in the process of entering the right animals to the sow farm, so the best sows can be retained for a longer time. For more information, review Tables 2.4 and 2.5 in the Gilt Management Section. 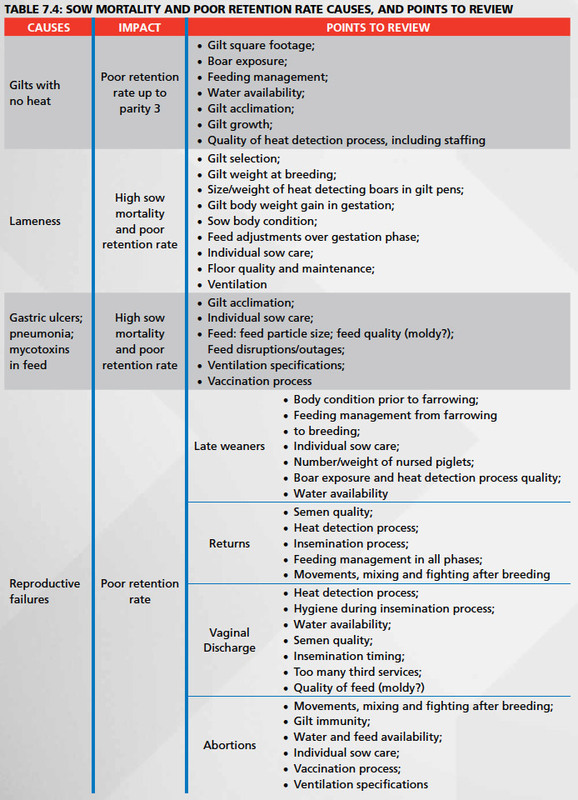 The population should be inspected at least once a day to identify early issues that can potentially affect the performance and well-being of the sows. Even in healthy and age-stable farms, every week many individual sows are treated against specific threatening conditions to prevent mortality and production flow shortages. PIC advises to be properly set up in terms of supplies and manpower. When the individual treatment rate is below or above the intervention level, further investigation is advised to better understand the cause. Keep in mind that many variables can influence the treatment rate, such as health status, body condition, productivity, facilities, type and quality of floor, environment, just to name a few. When the number of affected animals is greater than 10% of the population, it may be necessary to apply group treatment by water or feed adjustments. Always ask you herd veterinarian for directions. higher costs with extra gilt entries.